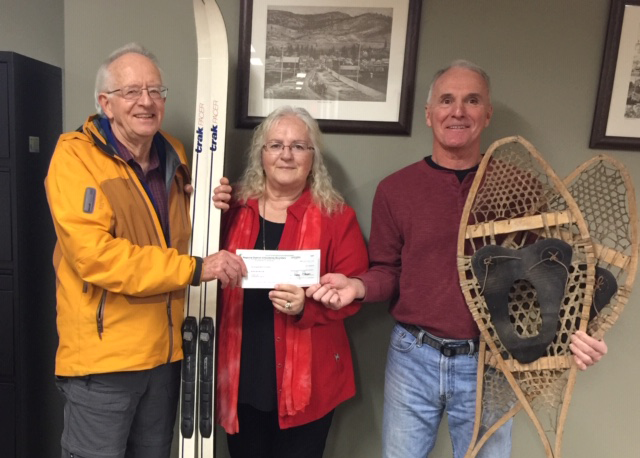 A $10,000 grant from RDKB Area B, via Director Linda Worley, to the Friends of the Rossland Range (FORR) is a major step toward creation of an accessible trail at Strawberry Pass this coming summer. The trail will make it possible for mobility-challenged people to get out in the forest with wheelchairs, walkers or crutches, and enjoy the many health benefits of being among trees and other woodland flora. The plan is to include a ramp to access Booty’s cabin for rest stops. Accessible trails are flatter and wider than other trails, with relatively hard surfaces, and are more expensive to build than trails for mountain biking and hiking. FORR is drawing upon experience with accessible trails elsewhere, to meet the needs and specific circumstances of the West Kootenay region. This project is expected to be the first stage of an accessible trail at the site. The terrain is suitable for enhancements and additional length and loops. Further development will be based on operational know-how gained by FORR and trail users, and available funding. The budget for this initial stage is $40,000. For further information contact Rob Richardson at (250)-362-5881, or rob@rosslandrange.org. The Rossland Range Recreation Site is a free public use recreation area enjoyed by many in our region as well as visitors from around the world, and its tenure area is shared with a local logging and lumber company which works cooperatively with FORR. See www.rosslandrange.org to learn more about FORR and the Rec Site.